At long last, The Flash finally revealed the true villain beneath Savitar’s armor, and it is indeed a familiar face. After Tuesday’s shocking twist, EPs explain why that scarred character made perfect sense all along, and how the final showdown will be unlike anything before. 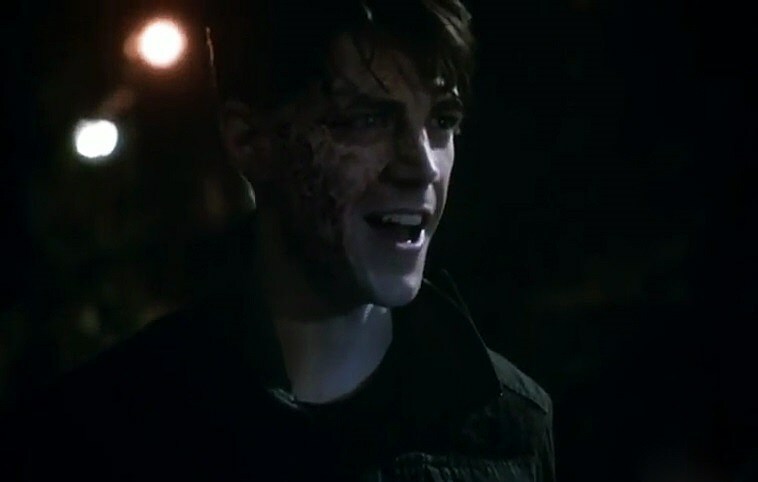 Savitar lived it once before, when he himself was Barry Allen. What’s really cool for anyone who thought that there wasn’t a plan, or we didn’t know, or we were making this up as we go, this was always where we were heading. The idea that the darkest villain we could come up with was actually a very damaged version of our hero was interesting and fresh to us. We’re not only competing with all the stuff that we’ve done on Flash, but we’re always competing with everything we’ve done on all the other shows. So to have our lead actor be both the hero and the villain isn’t something we’ve done before, so that was exciting for us as storytellers. There’s still quite a bit more to piece together, between Future Barry losing Iris, traveling throughout the ages and universes to start his own cults and the like, but was Savitar’s identity a worthy reveal? Watch the trailer below, and stay tuned for the latest.